It would be difficult to exaggerate the value of networking to business however, the fact that a sizeable, but decreasing number of businesses don’t take full advantage of the networking opportunities available to them is truly surprising. Networking can be a powerful and cost-effective tool when used properly, providing both businesses and their customers with tangible benefits, some of which might be unattainable by any other means. Networking certainly requires fewer resources than other marketing initiatives. To ensure that maximum benefit is derived from the investment made, however, it is critical to apply the resources deliberately, intelligently and with conviction. Done well, the rewards flowing from networking initiatives will far outweigh the committed time and effort. The principal precursor to the proper application of resources is the development of an effective networking strategy that clearly identifies the objectives of that strategy; the approaches to be taken to achieve those objectives; the methods to be used to assess the effectiveness of those approaches; and the establishment of suitable feedback loops to ensure that the approaches, and the higher-level strategy, remain relevant and are able to be continually refined and improved. In essence, a proactive and conscientious approach to networking cannot fail to help any business to achieve its objectives, and such an approach does, in fact, present as one of the most efficient and effective mechanisms to assist in the achievement of those ends. Firstly, care must be taken to ensure that all networking interactions are pleasant, and often ‘social’, encounters. Approaching a networking opportunity in an aggressive or ‘hard sell’ way will almost certainly be counterproductive and very quickly close off any entries the networker might have hoped to achieve. It is much better to err on the side of caution, passing up the opportunity to get some messages across on any particular occasion whilst recognising that such an agreeable approach will ensure that doors are left open and that future – and probably more mutually beneficial – interactions will be welcomed. Secondly, it should always be remembered that word of mouth referrals are an important asset for most if not all successful businesses. Potential customers approach businesses seeking goods or services based often on the past experiences of their colleagues, families and friends. Noting this, it is vital that businesses build rapports and alliances with as many entities as is possible. In this way reputations are established and nurtured among a much wider group than the existing customer base. An effective means for doing this is by letting others know what makes you different to – and better than – the rest. Networking provides a most effective means of achieving this, particularly when the networker takes advantage of the diversity of networking activities and targets groups available. Thirdly, all involved in any particular business venture – from the most senior managers to the most junior staff – should be encouraged to become involved in appropriate networking opportunities. The benefits of doing this are many, ranging from improved confidence for junior staff that recognise that they’ve been entrusted with a task vital to the success of their business, to the simple increase in the number of networking opportunities to be benefitted from. Although some of the rewards of this approach will be readily and immediately apparent, others – such as greater senses of cohesiveness and improved staff morale – will be more subtle but no less important. Finally, post-networking action is every bit as important as the networking interaction, and a follow-up contact will reinforce the view that you value the relationship and are keen to nurture a closer rapport. 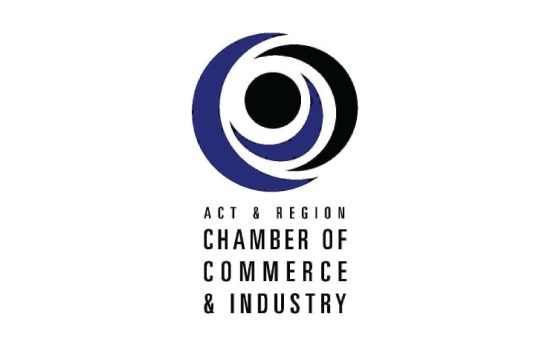 The ACT & Region Chamber of Commerce and Industry provides many networking events throughout the year in order to assist and grow business in the ACT and region. Sometimes the hardest part about networking is knowing where to go and how to start, and this is where the Chamber can help, by providing frequent opportunities to its very diverse group of members for the benefit of all, regardless of industry group or business goals and ambitions.